A hot potato: Not for the first time, a new study has shown there is no link between playing violent video games and aggressive behavior in teenagers. The news comes as lawmakers in some states seek to tax violent titles after several high-profile politicians blamed them for causing mass shootings. Researchers at the UK’s University of Oxford studied 1,000 British teens aged 14 and 15 to look for evidence of violent games’ harmful effects. Rather than relying on information given by the participants—something previous studies (that found a link) have done—the team noted the teens’ behavior and what they were playing as reported by their parents and carers. 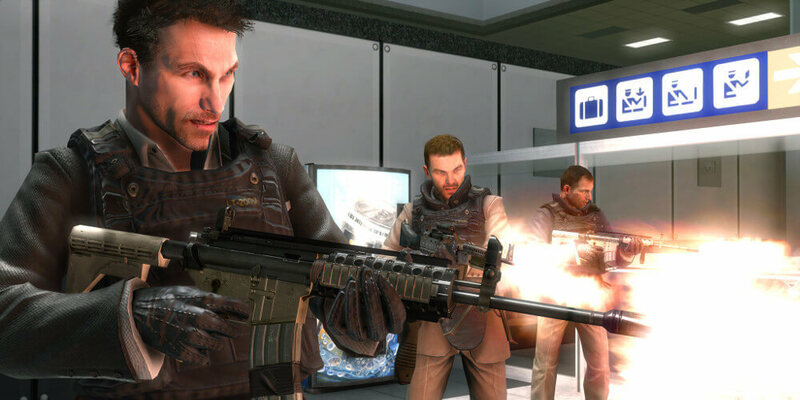 The level of violence in the games that were played was classified by the Pan European Game Information (EU) and Entertainment Software Rating Board (US) rating systems, rather than by the players themselves. The teenagers answered questions about their personalities and gaming habits over the previous month, while the careers noted their recent aggressive behaviors. It was the first study to use the Royal Society’s registered reports approach, in which hypothesis, methods and analysis technique are publicly disclosed before the research starts, to give unbiased results. "Part of the problem in technology research is that there are many ways to analyze the same data, which will produce different results,” said lead researcher Professor Andrew Przybylski, director of research at the Oxford Internet Institute. The study ultimately found no evidence that violent games caused aggressive behavior in teens. "Violent games don't seem to drive aggressive behavior in young people. But really we should be looking at other things - maybe it is frustrations, maybe it is family or life circumstance - that we should be spending more time on," added Przybylski. The researchers did point out that games could cause angry reactions or feelings in players, as anyone who’s died for the thousandth time in Dark Souls III will testify. They can also lead to antisocial behavior such as “trash-talking, competitiveness and trolling” in multiplayer games—issues we all know about. Both Pennsylvania and Rhode Island have put forward proposals to tax violent games, with the extra money being spent on school safety programs. Last year saw video games come under the kind of scrutiny not seen since the Columbine shootings 20 years ago. It led to the subject being discussed in the White House (see the montage created for President Trump below), and a judge banning a boy from playing violent titles following a shooting threat.